A Timber Creek mother is spreading homecoming traditions by putting together 40 mums and garters for some special TCHS students. DeLana Barsanti has three sons at Timber Creek and a fifth grader at Trinity Meadows Intermediate in the Falcon feeder pattern. Barsanti is making mums and garters not only for her sons but also for the special education students here at Timber Creek. She delivered them to the STACC, Life Skills and Medically Fragile classrooms at noon on Sept. 10. “I have a child in that class, and I just wanted to find a way to bring attention and include them into such fun festivities,” Barsanti said. There will be 40 mums and garters distributed by a team that includes Barsanti, community member Amanda Ramsey, and Miranda Hollis, who is a 2014 graduate of Timber Creek. The ladies finished making the mums and garters this past weekend. 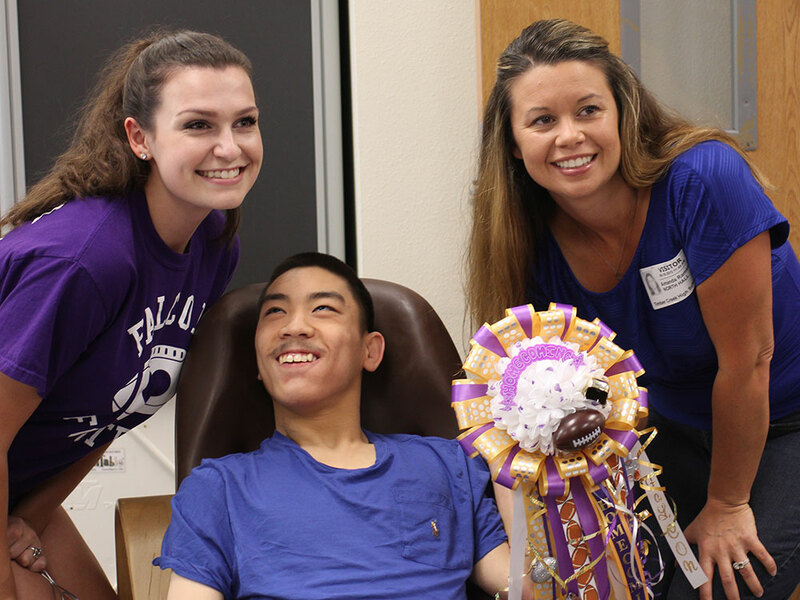 There are many volunteers that donate and take part in the project; the parents of the special education students, cheerleaders and students at Timber Creek all volunteer, also big donations from Michaels craft stores in Hurst and Keller. “With all the contributions we have a huge starting point for next year,” Barsanti said.